Paint Protection Film (PPF) also referred to as clear bra is a thermoplastic urethane film that is applied to the painted surfaces of your vehicle providing protection against unsightly stone-chips, minor abrasion, bug splatter, bird droppings, swirl marks, road debris and contaminants. Having paint protection film installed on your car will give you extra peace of mind to enjoy your vehicle regardless what type of driver you are. At Sydney Premium Detailing, we carry industry leading paint protection films from both XPEL and Suntek. XPEL ULTIMATE PPF and Suntek Ultra PPF both come with a 10-year warranty direct from the manufacturer. The warranty covers cracking, yellowing, blistering and delamination*. XPEL & Suntek offer ‘self-healing’ capabilities which in an event of light scratches or abrasion will self-heal into clear form again. Installing PPF on your cars high impact areas not only helps to protect your investment but will also increase resale value when it comes to upgrading or selling your vehicle. Why install Paint Protection Film? 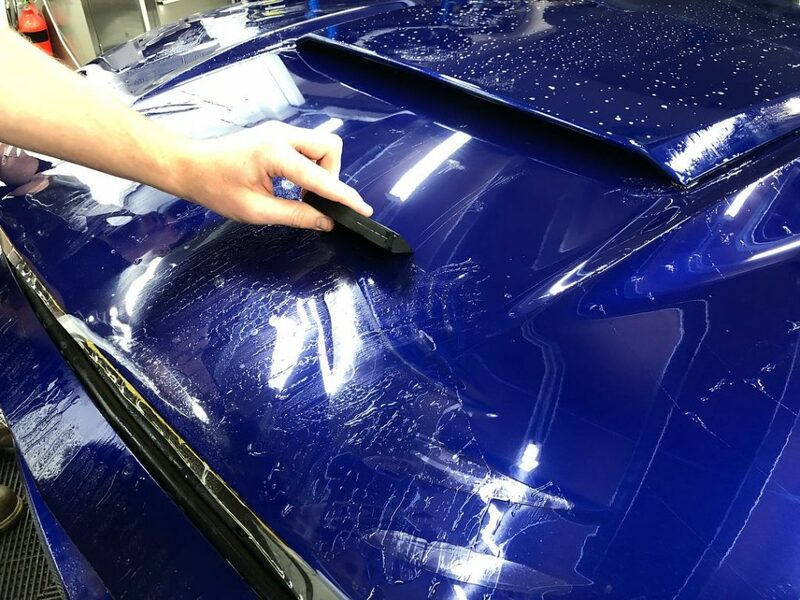 Paint Protection Film (PPF / Clear Bra) was designed to protect your cars high impact areas from stone chips, swirl marks, dirt and road debris ultimately keeping the car looking new and saving you from costly repairs when it comes time to sell the car. Aren't all paint protection films the same? NO! Most definitely not, there are a lot of brands on the market that we would not consider or offer to our customers. We understand sometimes budget can play a role into your decision, but we only provide what we have found from extensive research to be the best quality film based on durability, finish, thickness and fitment. Yes, it resists yellowing because the film is constructed of thermoplastic urethane, a tough, conformable material that is covered by a clear coat layer. The film and clear coat layers contain UV protectants to counteract harmful ultraviolet rays that can cause yellowing. 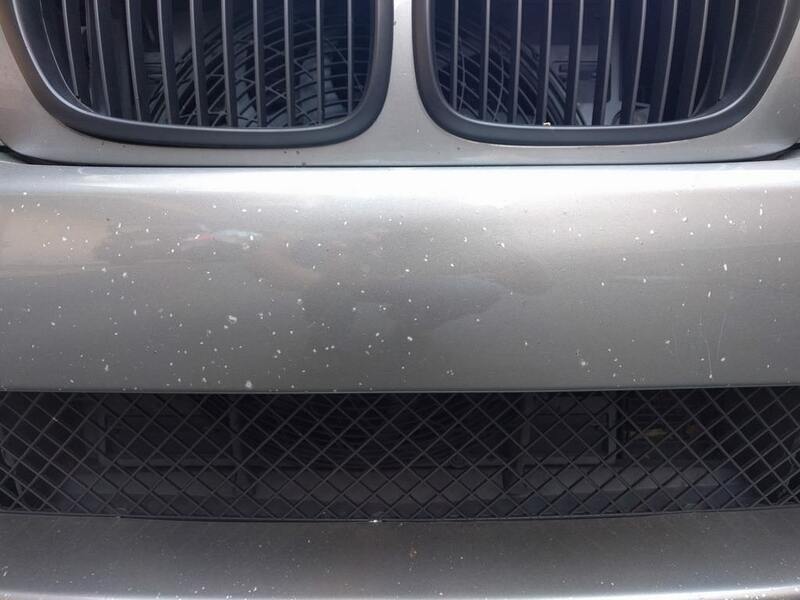 Will the PPF damage my paintwork if i decide i want to remove it? We would recommend to contact us if you want to remove the film, however if the film is properly applied to a fully cured painted vehicle, it can be removed, usually in one piece, without damaging paint surfaces beneath the film and allowing reapplication if needed in an event of an accident. Stretch marks- when paint protection film is stretched past its threshold a significant change in the texture of the film will appear. A small amount of this is acceptable around compound curves but should be very minimal. Can Paint Protection Film be applied over a vehicle that has had areas repainted or touched up? We recommend that any repainted areas on your car be professionally painted and fully cured before applying paint protection film – normally this is a minimum of 4 weeks. If you have touched up scratches or chips with “touch-up” paint and then apply paint protection film over it, the film will protect that area until it is removed. Do note that if the area (stone-chip) is not flat, the raised area may be noticed within the film. If the paint protection film is removed, it is highly possible that the area around the touch-up paint could peel off with the film due to not being painted & repaired professionally. Once your film is applied, we ask not to wash the car for 5-7 days until the film has fully cured. No special after-care is needed other than washing your car with your normal wash procedure (2 Bucket Method suggested always to avoid paint damage during the wash process), however for all work we carry out we normally add a layer of protection whether a synthetic sealant or ceramic coating to ensure additional protection is applied. Can I use wax, sealant or Ceramic Coating over Paint Protection Film? Yes, for most applications we protect your vehicle with a Polymeric Sealant or Ceramic Coating as part of our packages. However if you chose to do this yourself, when waxing the vehicle, some wax may build up along the film edges. This can easily be removed when dry with a soft cloth. Do not use any waxes containing dyes or waxes as this may effect the film clarity and durability. Do you have patterns available for all vehicles? With XPEL DAP (Design Access Program) we have access to over 80,000 patterns for all makes and models of all cars, motorcycles and even 4WD’s. Please contact us and we’ll happily advise what areas are available for protection. Stone-chips are inevitable from driving, protect your paintwork before your car requires repainting – which unfortunately never matches factory paint finish!